I’ve been having a lot of fun lately! Maybe it’s the break of spring and the wonderful warm weather we’ve been having. I just feel a lightness in all my activities, tasks and chores and my ideas are running freely again. I just wish I could find out how to make time double up for me to have enough of it to realize and try making them all come true. So, instead I am making sure to have fun with those activities and tasks I have decided to focus on and give priority to. See, I am driven by my dreams and ideas, and I have the choice of making them come true. I am not afraid of failure – no – I am more afraid of not trying or having a go at these ideas and dreams. After all they are made of my hopes, of opportunities and provide many possibilities and not aspiring to reach these goals means I have failed. If an idea is unsuccessful or a dream has floundered – well I have to try again – after all not everything works the first time. The past week I saw 3 rainbows. Rainbows are said to be lucky and auspicious, maybe my cosmos is telling me that I am on the right road. I hope so … whatever road I am currently travelling on I am having fun while on it because I am trying to make a purpose out of a dream. We are having a lot of fun in my kitchen too. It seems to be the one place I am most often in at the moment. Cooking with girlfriends, baking with Soeren, preparing for photo shoots, recipe testing for an upcoming project – the kitchen is my kingdom! I do love it and thank heavens for the inventor of the dishwasher! One of the enjoyable afternoons I spent with Soeren in the kitchen was while baking a cake I was testing for a client. I had a lot of the batter left over and we decided to make-up a “Happy” kind of cake. 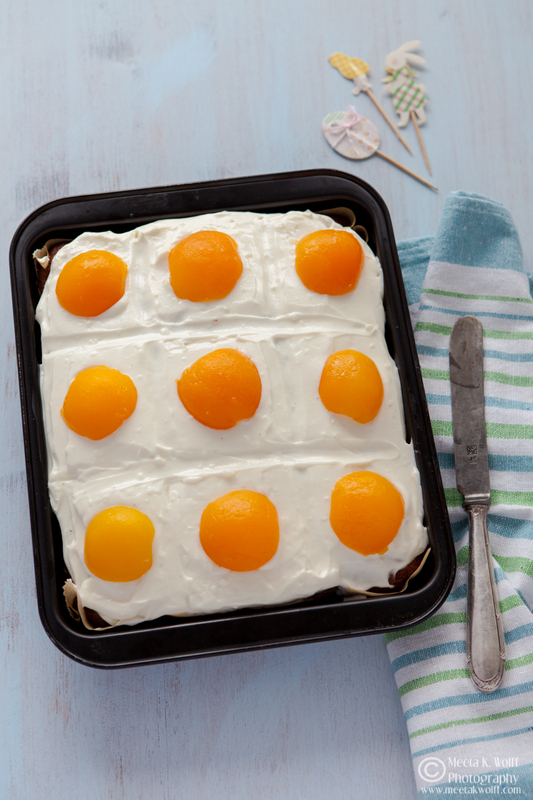 This is what became of our idea – The Sunny-Side Up Cake. It’s easy to whip up and we both agree that it would be a charming addition to the Easter coffee table. Preheat oven to 180C and line a baking sheet with some baking paper. In the bowl of a stand mixer cream together 200g sugar and butter until creamy. 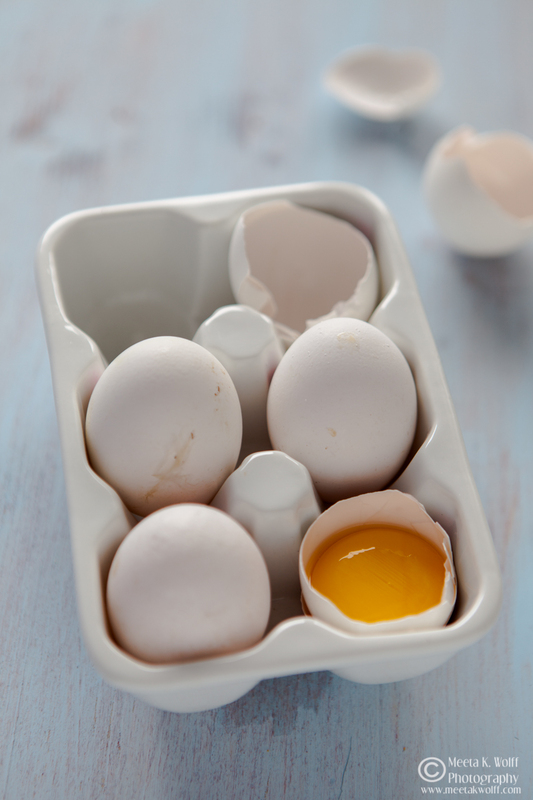 Add the eggs one at a time and making sure that each egg is incorporated well before adding the next one. In a separate bowl mix together flour, baking powder and salt. Add to the butter-sugar mixture in 3 portions alternating with 125ml milk, then mix in the lemon zest. Beat until the batter is smooth then pour into the baking sheet. Bake in the oven for approx. 20 minutes until the top is golden and spring-y to the touch. Remove and allow to cool completely. In the meantime make the topping for the cake by mixing the vanilla pudding powder with 100g sugar and 6 tablespoons of milk until smooth. Place the remaining milk (from the 500ml) into a saucepan and bring to the boil. Take off the heat and vigorously whisk in the pudding powder and sugar mixture. Put the saucepan back on the heat, whisking all the while and allow the cream to thicken into a custard consistency - 1-2 minutes. Allow the vanilla pudding to cool completely, then whisk in the quark or sour cream until smooth. You can also make individual cakes by pouring the batter in single tart forms. Reduce baking time to 15 minutes. Alternative you could sieve some cocoa powder over the cake slices. 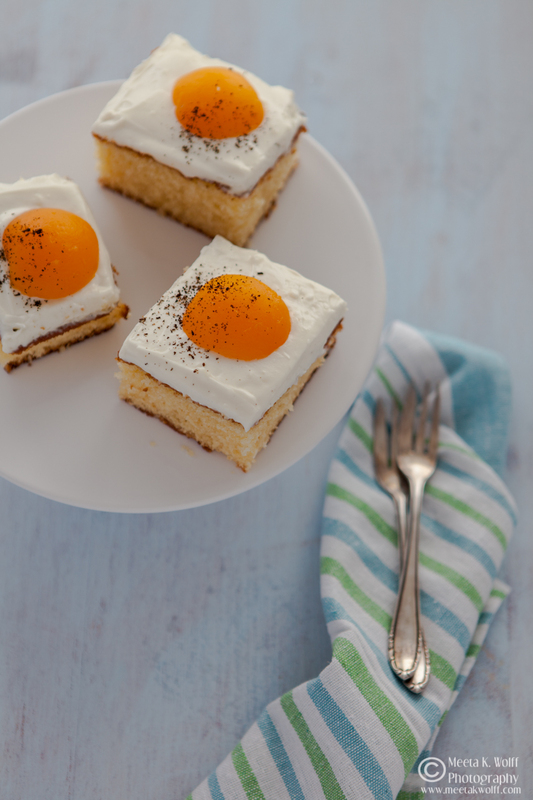 The cake resembles a fried egg and will bring smiles to those at the table. Enjoy this with friends over espresso and make the kids some hot chocolate. It's a basic sponge cake mixture pepped up with an easy frosting of vanilla pudding and sour cream making it a tangy, not too sweet topping pairing well with the sweetness of the apricot. In this section of the post I share bits and pieces, finds and interesting things I come across as I surf the web. It might be a quote, a picture a moving post, interesting news and announcements, whatever makes me connect with you. 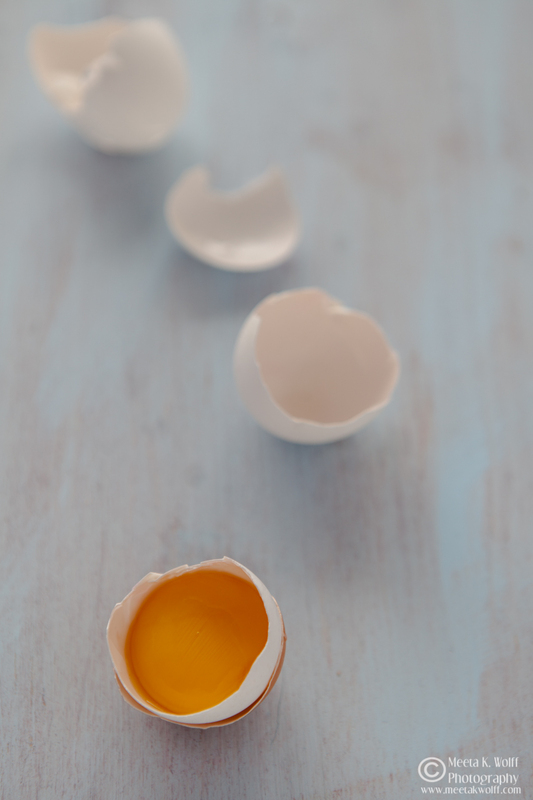 This week I am looking for fun and inspiring recipes and posts for you and your Easter festivities. Here is something I'd love you all to join. Asha from Fork Spoon Knife and I have started a challenge. A short while ago @ashafsk posted an image and mentioned that she often forgets to cook for herself. That stuck with me as I love cooking for myself. It's a different kind of cooking ... almost like therapy. I got talking with Asha and we decided to start a series called #cookingfor1 as we are sure there are many out there on the run with busy schedules forgetting to feed themselves. We are going to be posting the meals that we cook for ourselves. 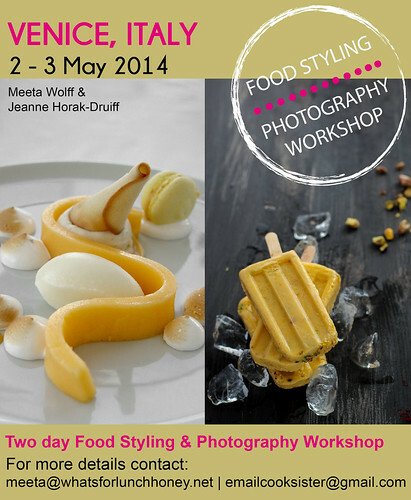 We hope you will join us and share your #cookingfor1 images and be inspired by others who join. Invite, tag and share with your friends and followers. Here is my first dish - Spicy Indian style scrambled eggs with caramelised onions in cumin and turmeric, peas, tomatoes and coriander leaves. Served with a papaya orange chutney and a hot masala tea. Sweet Pea & Pearl Onion Pesto Smothered Zucchini Noodles by the lovely sisters Julie and Yvonne of The Alkaline Sisters, whom I had the pleasure of meeting a few years back in London. Their dream "is to inspire and energize you for life. We hope to set you on a journey to better health and a clear understanding of how food affects our bodies, through delicious recipes"
Feta-Crusted Rack Of Lamb With Mint Sauce by the lovely Anne Faber. In my opinion a magnificent English Easter menu! Marta Potoczek takes us on a sensual and visual trip to Portobello Road in London. Join her and enjoy the lovely images! Oven dried tomatoes by the charming Aparna who is lucky to get fresh tomatoes all year round. Our season will be starting and I plan to grow them again this year. A great way to use them! Shulie of Food Wanderings is tempting me with this Masala Chai Ice Cream that I plan to make this weekend with my favorite blend of masala chai. 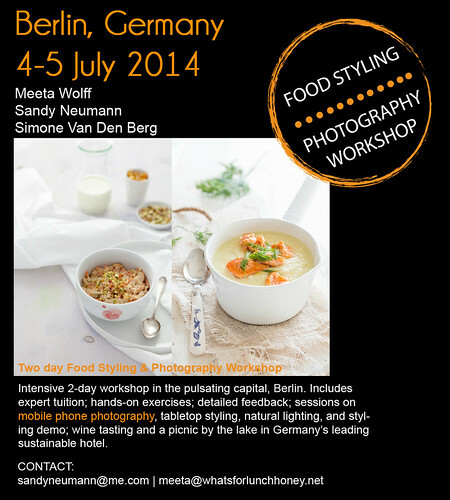 I am very thrilled to announce that HarperCollins 360 will be sponsoring the upcoming workshops in VENICE & BERLIN with a copy of donna hay's gorgeous cookbook "Fresh and Light" for each of the participants AND we will be holding a special competition with a fantastic prize. Stay tuned for more details. In the meantime checkout my Instagram video showing more of this gorgeous book! 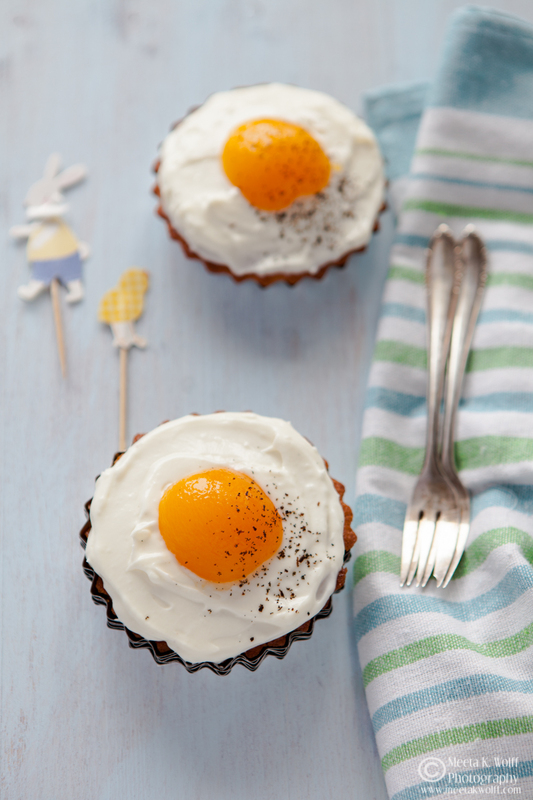 You might like these fun recipe ideas for Easter from What's for lunch, honey? Thank you Nandita. It's a fun cake to make and I am glad it made you smile! I really thought that they were real eggs! This cake is fabulous. A great Easter treat. LOL! I think a few of my readers thought the same. Glad you like it! They are just stunning, such a beautiful cake.. Thank you dear Liz! Hugs! 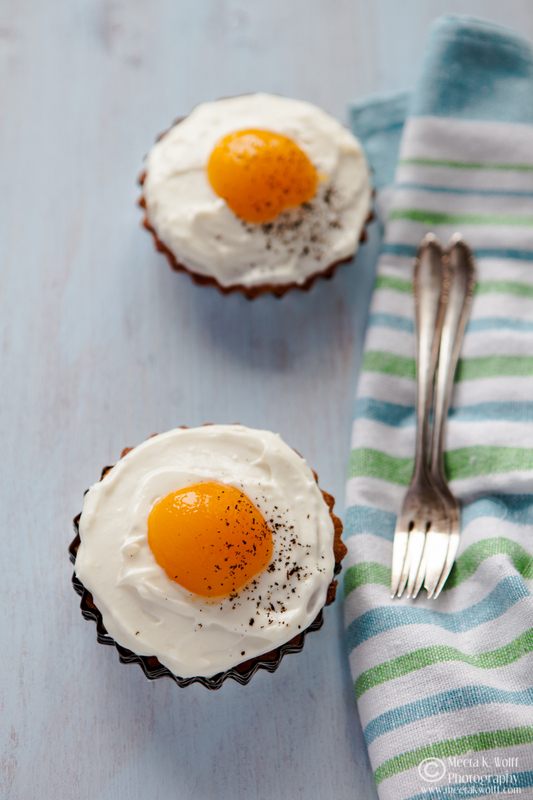 Ah there they are.... Love those little egg cupcakes. They make me smile every me I see them. As for you, my dear friend, I'm pretty sure you're on the right road... No matter where it will lead too! and I'm glad I'm just a little part of that road too... Haven't made any meals for one his week... But will for sure be making some soon! Thank you dear Simone. I am glad to have you by my side for part of the way. You are a good friend and I look forward to seeing you soon! Great sequence of pictures! You actually got me thinking that my dear friend Meeta had flipped her lid and was serving cake with eggs on top...bleeagh! That's what happens when you skim through a post rather than reading it properly. Great idea and I'm sure the apricots and vanilla sour cream taste great on the cake! Oh I do flip the lid every now and then LOL! Dharm it's great to have you here hope you have been well! The cake was great! Very cute - it certainly looks like you are having fun in your kitchen at the moment. Yes I am Sally. Lots of ideas and lots of experiments. Feels good to get out of the rut! what a lovely idea to use apricots, it really looks like an egg topped on the cake =) a fantastic easter idea!! Thank you Karla! If you make it let me know what you thought! LOL! I made this with my son (11 years) and he did have a good time too. Glad you like it and I look forward to hearing your thoughts. Thanks Diana. Glad you liked the cake and thank you for including it in your feature. Lovely pictures...it makes me think of spring immediately. Thank you! Yes - Spring is here ... at least on the blog! Perfect Easter treats. So cheerful and sunny. I hope to attend your workshops when you come to Dubai again. Wishing you all the best. Look forward to meeting you then in Dubai. Thank you! :o) I think you and a few others too. Like pulling your legs! Glad it put a smile on your face - at 2 AM! So, so cute! And looks delicious too. Such a cleverly prepared/decorated, artsy, crafty, pretty cake! A sunshiny treat indeed! Two-thumbs-up pictures, as always! You're an inspiration.